Zimbabwe's main opposition leader Morgan Tsvangirai has died in South Africa, a senior official in his MDC party has said. "He died this evening. The family communicated this to me," MDC vice president Elias Mudzuri told Reuters. Mr Tsvangirai's career was marked by a long political struggle against former President Robert Mugabe. He had been beaten and imprisoned numerous times. Announcing Mr Tsvangirai's death, Mr Mudzuri said on Twitter that the MDC had "lost our icon and fighter for democracy". 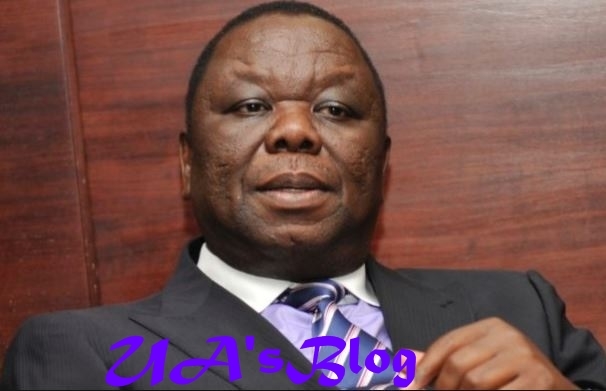 Mr Tsvangirai founded the MDC (Movement for Democratic Change) in 2000, repeatedly challenging Mr Mugabe during the ex-president's long grip on power. Morgan Tsvangirai was an incredibly brave man who risked his life to stand up to the authoritarian rule of Robert Mugabe. He did not succeed in ousting Mr Mugabe - due to the intimidation of his supporters and some blatant rigging - but he did at least live to see the downfall of his long-time rival. Although he was obviously very sick, he even travelled home from South Africa, where he was being treated, for the occasion. But in purely political terms, Mr Mugabe always managed to get the better of the charismatic former union leader - especially when he was prime minister and they were supposedly sharing power. Some of his ex-comrades in the MDC, which he founded, accused him of dictatorial tendencies and the party split several times. Now, the MDC will have the formidable task of trying to unite and mount a credible challenge to Mr Mugabe's successor Emmerson Mnangagwa in this year's elections. Before the second round of voting, Mr Mugabe's security forces carried out a campaign of violence against opposition supporters, and Mr Tsvangirai withdrew. Mr Tsvangirai ran against Mr Mugabe again in 2013 but lost by a landslide. The MDC is said to be divided over who should lead it into elections later this year against the governing Zanu-PF party, led by Mr Mugabe's successor, Emmerson Mnangagwa.